What would happen if you arranged for speakers from around the world to talk about tiny houses and small-scale living? And what if you did so online, so that meant there was no travel involved, either for the speakers or the attendees? What if you made it possible for anyone to watch from the comfort of their own home, in their pajamas even? And what if you made it free? Well, we’re about to find out. 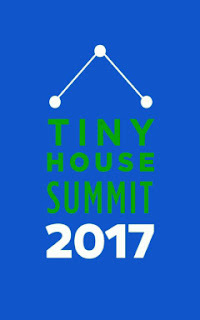 The first ever Tiny House Summit will be February 20 - 24, online, through your computer or mobile device, and features 30+ great speakers and presenters, talking about all kinds of important topics: affordability, financial freedom, financing, zoning and regulation, insurance, building your own or buying from a builder, family living, environmental and healthy materials, energy and waste, solar power, design decisions, communities and renting, sustainability, minimalism, and even converting old school buses into tiny homes (skoolies)! You could say that the Tiny House Summit is my “brainchild.” I’ve been running large-scale online events in education for the last ten years. I created one of the first modern social network for educators (Classroom 2.0), and then also co-created what was likely the first massive, online, “peer to peer” conference, called the Global Education Conference. I also created several other well-know events that run also each year, bringing together teachers, students, librarians, administrators, and others to learn with and from each other. I became a fan of tiny houses when our family moved to Asheville, NC, just over three years ago, and soon thereafter I inherited the local tiny house meetup group. After having some success in holding meetings and regular events, I was asked by the current administrator of the local Facebook group for tiny houses if I’d be willing to also take over that group (a perfect fit!). Since then both groups have been associated and continue to grow and thrive--the Facebook group alone has over 1400 members, and the meetup group over 11000. This is largely because of lots of great people who pitch in, as it’s definitely a team effort! In one of those monthly tiny house meetups, I asked the group if anyone had ever done an online event on tiny houses, and nobody could think of one… which of course meant we were off and running! I sent an email out to the group, asking for anyone who wanted to help work on this idea to join me on an adventure. Local entrepreneur Sera Turner became my lead organizer for the project, and together we coordinated almost a year of research and preparation. One of the challenges that we have faced was that I wasn’t known in the broader tiny house community. Sera and I started attending tiny house festivals, and also reaching out to speakers we had heard or were aware of--asking what they thought of holding an online event, what they felt would be critical to do in such an event, and if they themselves would consider participating. Building trust with the cadre of tiny house movers and shakers definitely took some time, but I knew it would, and ultimately I think we’ve been able to show both the benefits of holding an event online and that we were willing to do what it would take to make the event happen. I also hoped that my own philosophical alignment with these pioneers that I admired so much would come through, and that they would recognize the intentions to enrich the greater tiny house movement. Mirrored in the Tiny House Summit, and at the core of my educational events, is a particular philosophy of creating opportunities for regular people to meet each other and make connections. I believe that the advent of the Internet is dramatically changing not just learning, but how we work and organize (just think of all the YouTube creating and watching that tiny house people do!) Just as my educational events have allowed thousands of teachers, librarians, students, and others to present to their peers, and hundreds of thousands to participate and network with each other, I’m hoping we can do the same in the tiny house world. In addition to invited speakers, anyone in the community can also propose to present on a tiny-house or small-scale-living related topic, and there’s free training for using the online software and presenting. We will have a few really great “community presentations” this year, and hopefully that will help people get the idea and we’ll get lots more in the future. I’ve got over a half million total members in my educational networks, and while I like Facebook and Twitter, I think that they don’t always allow the depth of conversation--and the organizing and finding of those conversations--that are the hallmarks of a good “community of practice” (a phrase from the educational world that certainly applies to the tiny house movement). My son and I (mostly my son) have been working on a skoolie and the online skoolie.net forum has been invaluable. I hope that the same will be true for the Tiny House Summit, and in particular, that the network platform that have created as “home base” for the summit, tinyisbeautiful.com, will become a uniquely valuable place for sharing beyond the actual event itself. 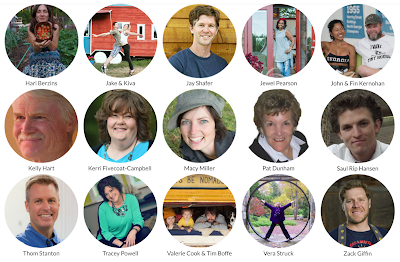 We have also tried to find a diversity of speakers to represent the variety of interests of the larger tiny house movement, and also my own personal passions. 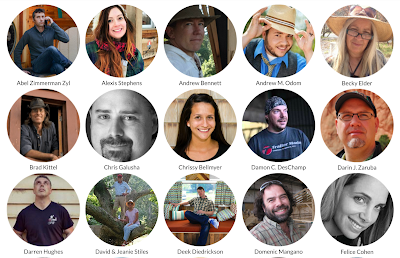 We sent out a survey to over 900 bloggers, builders, and do-it-yourselfers asking what topics they would want to make sure were covered during the Summit, and who they would want to hear from… so now you know how we came up with our 30+ speakers! There are a lot of personal reasons that people are interested in tiny houses and there are also some larger social implications as well. The move toward minimalism and financial freedom are compelling personal reasons to look at tiny living, and so for me is the large question of how we help those who are homeless. I volunteer for a local homeless program, and I consider myself a proponent of the “housing first” model of addressing homelessness. Providing shelter and a “roof of one’s own” is, I believe, the first step in helping the homeless, and tiny houses seem critically poised to provide this base-line response. As this goes to press, I think we’ve also nailed down a great speaker to talk about tiny housing as one approach to homelessness. So, with an event this ambitious, that has taken a year to build, and is drawing on the expertise of well-known speakers, how can it be free? I’m using a financial model for online events that I really like, and which has become common enough that many reading this will recognize it from other online events you may have seen advertised. The presentations for each day of the Summit will be available to watch for free for the first 24 hours after they are released, and then as the next day’s set of presentations becomes available, the previous day’s set will become part of a larger package of recordings and bonus materials that can be purchased ($99). The reason I like this model is it commits to making sure no one is denied access to the sessions because of financial constraints, yet it still creates revenue to support the event. More information, and to sign up, at http://www.tinyhousesummit.com. And you can like the Facebook page and keep informed that way at http://www.facebook.com/tinyhousesummit. I hope to “see you” online!